In 2004, cult winemaker Jayson Woodbridge set out around the world to make wines of exceptional quality at a price everyone could enjoy. His journey was inspired by his grandfather – who gave him his first glass of wine and a story he could relate to, “the vines go down into the soil and pull up the different aromas and flavors in the soil, just like the layers of flavors in Grandma’s cake.” He found the best vines in four countries, across four continents and, in honor of his grandfather, created Layer Cake. 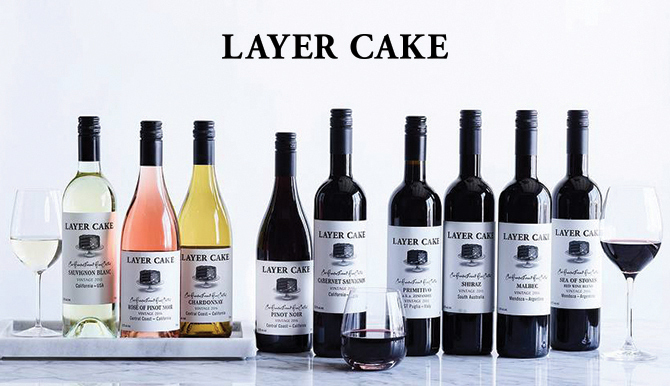 No matter what you pair with Layer Cake, you can always expect this wine to over-deliver. One Hunded Percent Pure Craft.